Completely new version, published September 2018! The original Beermat book, “The Beermat Entrepreneur” is a bestseller, and recommended by business leaders worldwide. It’s an acknowledged classic- oh, and it’s an easy read too. We know that if you’re trying to start a business, you probably haven’t got the time to read 800 pages of impenetrable text. Marketing is the driving force of every small business, but many budding entrepreneurs are unsure how best to go about it. 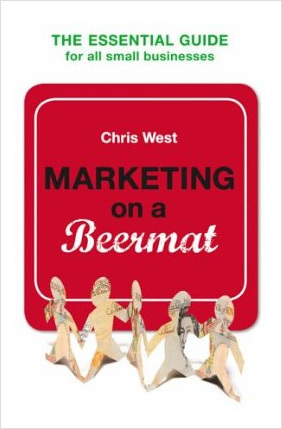 “Marketing on a Beermat”, written by Beermat Entrepreneur Chris West, brilliantly demystifies this essential area of business enterprise, telling you everything you need to know about researching and identifying customers, creating an impressive marketing strategy, building marketing campaigns, and increasing consumer awareness and – therefore – sales. 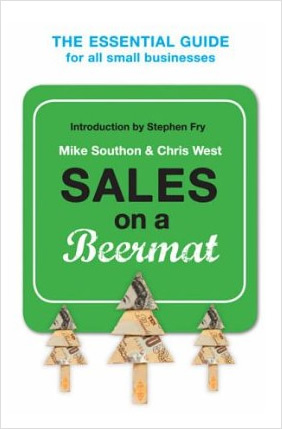 “Sales on a Beermat” give you everything you need to sell successfully. It’ s not written for salesmen- it’s written for people like you and me who want to get a business off the ground. Learn about the “Magic email” which really delivers results. And learn how the best salespeople are neither pushy nor devious- the secret of sales is to be honest and likeable. Finance is a subject many people prefer to avoid – but they do so at their peril. 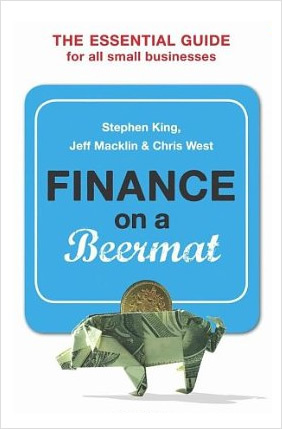 “Finance on a Beermat” is written in clear plain English by the authors of “The Beermat Entrepreneur” and two experienced financial directors, to help entrepreneurs understand and make friends with the subject, and turn it from something frightening into what it should be – a powerful tool for business growth. 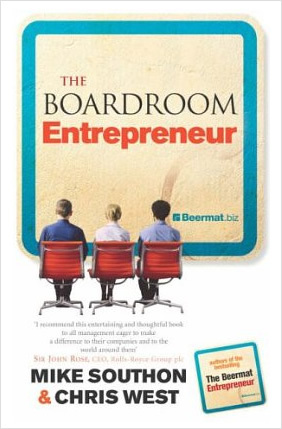 “The Boardroom Entrepreneur” brings the Beermat spirit of entrepreneurship into large corporations. If you’ve got an entrepreneurial frame of mind, but you don’t want to lose the security of a big-company job, then this is the book for you. This is how Yoodoo it is a collection of sixty-ﬁve articles written by Mike Southon for the Financial Times and Daily Telegraph. Mike Southon is a serially successful entrepreneur, and co-author with Chris West of several best-selling business books including The Beermat Entrepreneur, The Boardroom Entrepreneur and Sales on a Beermat. He is now one of the world’s top business speakers, appearing at over 100 events per year, all over the world. 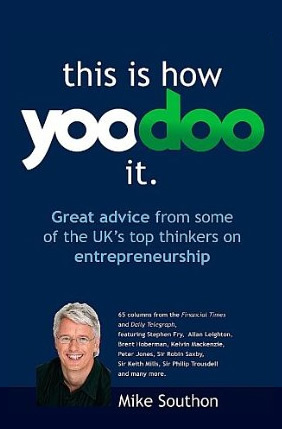 This is How Yoodoo it has a wealth of practical advice on a wide variety of topics, including getting started, sales, marketing and communication, ﬁnance, team building, mentoring, growing your business, dealing with the recession and social entrepreneurship. Experts featured include Sir Keith Mills, who led the successful London 2012 Olympics bid, the actor and writer Stephen Fry, Harold Goddijn founder of Tom Tom, Kelvin Mackenzie, former editor of The Sun, Sir Philip Trousdell, former Commandant of Sandhurst, Sir Robin Saxby, founder of chip maker ARM and Brent Hoberman, founder of Lastminute.com.